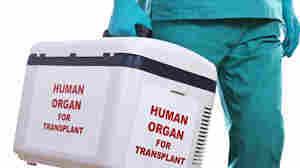 February 26, 2014  A regional transplant service built a centralized surgical center in St. Louis where organs are removed from donors. The approach has shaved hours from the time it takes to get organs to patients. August 26, 2013  Sarah Murnaghan, now 11, had only weeks to live earlier this summer when a judge ordered that she be moved up a transplant waiting list. 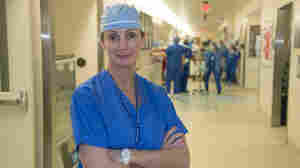 Her case sparked a review of national organ transplant policy. Now, she's recovered enough to soon be able to go home. Would You Accept DNA From A Murderer? June 10, 2013  Some people believe that the recipient of an organ transplant will take on characteristics of the organ donor. Commentator Tania Lombrozo considers what this reveals about the way we conceptualize ourselves and our bodies. 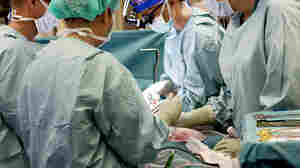 March 15, 2013  A Maryland man who recently died had received a kidney transplant. Now, the Centers for Disease Control and Prevention says it has determined that the donor had rabies and that the disease was transmitted to the Maryland man. Three other organ recipients are now receiving anti-rabies shots. May 23, 2012  Health insurance has been changing dramatically. Even people with insurance are paying thousands of dollars out of pocket before their insurance kicks in. And when that happens, insurance picks up less than it used to — often a lot less. 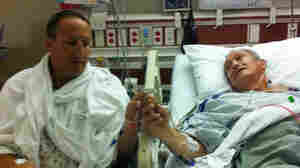 March 26, 2012  The former vice president is recovering from a heart transplant he received over the weekend. Experts say it's unusual for a 71-year-old to get a transplant, but more and more older people are getting them as the procedures improve and the population ages.